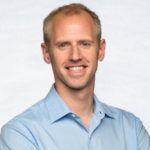 Note from the Editor, Tricia Wang: Next up in our Co-designing with machines edition is Steven Gustafson (@stevengustafson), founder of the Knowledge Discovery Lab at the General Electric Global Research Center in Niskayuna, New York. In this post, he asked what is the role of humans in the future of intelligent machines. He makes the case that in the foreseeable future, artificially intelligent machines are the result of creative and passionate humans, and as such, we embed our biases, empathy, and desires into the machines making them more “human” that we often think. I first came across Steven’s work while he was giving a talk hosted by Madeleine Clare Elish (edition contributor) at Data & Society, where he spoke passionately about the need for humans to move up the design process and to bring in ethical thinking in AI innovation. Steven is a former member of the Machine Learning Lab and Computational Intelligence Lab, where he developed and applied advanced AI and machine learning algorithms for complex problem solving. In 2006, he received the IEEE Intelligent System’s “AI’s 10 to Watch” award. He currently serves on the Steering Committee of the National Consortium for Data Science, based out of University of North Carolina. Recently. he gave the Keynote at SPi Gobal’s Client Advisory Board Summit in April 2016, titled “Advancing Data & Analytics into the Age of Artificial Intelligence and Cognitive Computing”. 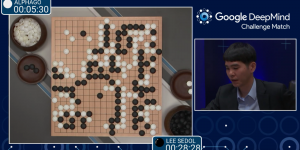 Recently we have seen how Artificial Intelligence and Machine Learning can amaze us with seemingly impossible results like AlphaGo. We also see how machines can generate fear with perceived “machine-like” reasoning, logic and coldness, generating potentially destructive outcomes with a lack of humanity in decision making. An example of the latter that has become popular is how self driving cars decide to choose between two bad outcomes. In these scenarios, the AI and ML are embodied as a machine of some sort, either physical like a robot or car, or a “brain” like a predictive crime algorithm made popular in the book and film “Minority Report” and more recently TV show “Persons of Interest. I am a computer scientist with the expertise and passion for AI and machine learning, and I’ve been working across broad technologies and applications for the past decade. When I see these applications of AI, and the fear or hype of their future potential, I like to remember what first inspired me. First, I am drawn to computers as they are a great platform for creation and instant feedback. I can write code and immediately run it. If it doesn’t work, I can change the code and try it again. Sure, I can make proofs and develop theory, which has its own beauty and necessity at times, but I remember one of the first database applications I created and how fun it was to enter sample data and queries and see it work properly. I remember the first time I developed a neural network and made it play itself to learn without any background knowledge how to play tic tac toe. This may be a very trivial example, but it is inspiring nonetheless. Can a machine write its own code? Can a machine design a new, improved version of itself? Can a machine “evolve” like humans into a more intelligent species? Can a machine talk to another machine using a human language like English? These were all questions that excited me as an undergraduate computer scientist, and that led me to study AI and ML during grad school, and these are all questions that can be answered with a Yes! Machines, or computers and algorithms, have been shown in different circumstances to achieve these capabilities, yet both the idea that machines have the capabilities and the idea that machines can learn are scary concepts to humans in the general sense. But when we step into each one of these achievements, we find something that I believe is both creative, inspiring and human. But let me step back for a minute. Machines can not do those things above in a general sense. For example, if I put my laptop in a gym with a basketball, it can’t evolve a body and learn to play basketball. That is, it can’t currently do that without the help of many bright engineers and scientists. If I downloaded all my health data into my phone, my phone is not going to learn how to treat my health issues and notify my doctor. Again, that is it can’t do that currently without the help of many smart engineers and scientists. So while my machine can’t become human today on its own, with the help of many engineers and scientists solving some very interesting technology, user experience, and domain specific problems, machines can do some very remarkable things, like drive a car or engage in conversation. The gap that creative, intelligent and trained engineers and scientists play today is a gap that must be closed for intelligent machines that both learn and apply that learning. That gap is also a highly human gap – it highlights the desire of our species, accumulation of knowledge, our ability to overcome challenging problems, and our desire to collaborate and work together to solve meaningful problems. And yes, it can also highlight our failures to do the right thing. But it is a human thing, still.